Thinking like a second insert to go behind the first? or a completely new larger one to encompass larger bottles? It's just a shift knob...nuf said. More details are on thingiverse. Thats pretty cool, you have a threaded insert molded into the bottom? Is going into reverse a probelm at all? Something ive always wondered with the longer shifter and reverse lockout. Yes the threads are molded in the bottom, I have made a cut out in the bottom for the reverse lockout (similar to the stock design) so going into reverse will not be a problem. 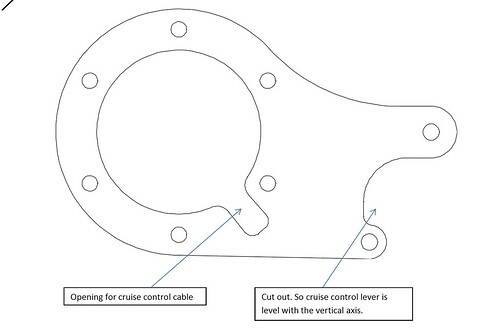 I was wondering if someone could make a 3D printed cruise control bracket. I found a template on this site by someone else so you can reference it. Last edited by chiu; 02-09-2019 at 04:00 PM. I can convert to CAD and print it out for you in ABS/FDM. I'm local toronto too. Just need on solid dimension and if everything is to scale I can pull it into CAD. PM me if you're interested.